We had a lot of different outfits to shoot so we had to move fast. We also only shot at two locations so I had wanted to try to get some different looks in the photos without having to drastically rearrange the lights. The main light on all of these photos is a Nikon SB-800 behind a shoot-through umbrella with a 1/8 CTO filter. Because this was a catalog shoot, I mostly took full-body shots and needed a big, even light source. The 42” umbrella worked wonderfully to evenly illuminate her entire body. The 1/8 CTO is a nice filter to add a little warmth and make any model’s skin glow. I switched up the secondary light a few times… Sometimes, I didn’t use one at all… Most of the time I use a big white card and/or a reflector to lower the contrast on the non-lit side of her body. And for many of the shots with the trees in the background, I used a Nikon Sb-24 as a rim light. Magical DOF in the opening shot. I agree – working with models in different situations, clothes etc is hard, tiring work. And some people think we have it easy! It can be tiring, especially if you shoot in the mid-day Taipei heat like we did on this one. But, when you work with great people who don’t mind the obstacles, it can also be a lot of fun. Great work man. You can’t even tell that you had off camera lighting going on. That’s a challenge, although it seems that lately I’ve been really digging the “obvious” off camera lighting look. Thanks. It’s funny, I think I go through different stages with my lighting. Lately, I’ve been more into a softer effect… In a year or two, I might be blasting away. I guess it depends on my mood or what best suits the client at the time. for sure, it’s all about the client. Hi, nice to meet you. I really like your photos! It looks very professional. I’m a real beginner in photography and I just bought the Canon EOS Rebel XSI. Thank you for sharing your knowledge!!! I just wanted to tell you that I love your shots! I am moving to Taiwan in the next couple of weeks and would really like to get in to modelling. I am a 25 y/o Mixed Race, Anglo/European male. 186cm tall, slim, 65kg’s, 31inch waist… I need to get comfortable and more confident in front of the camera and I so I am looking for a photographer that can help me put together a portfolio. Any Ideas would be greatly apreciated. Check out Escape Model Management on facebook. Wow so random. 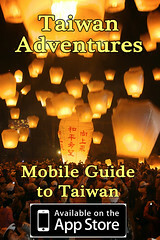 Found your cool photo blog from another Taiwan blog, which I had found on Google. Saw your pics and I know Ashley! Met her when I was studying at Shida a couple years ago. Just read your blog and really admire your photos. anyway just want to ask what camera and lenses did you use for this model? These were all shot with a Nikon D700 and either a 80-200 f2.8 or a 24-70 f/2.8.